Introducing the blockchain technology can help make VC investments more accessible for most businesses and in this guide, we’ll be having a look into the way the blockchain technology helps in improving the functioning of venture capital investment firms. 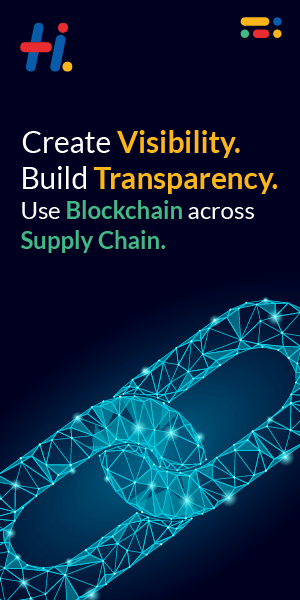 Blockchain helps in building a transparent environment where business owners and investors can take part in the functioning and efficiently view all the trades and other data related to the performance of the enterprise. The way VC funds operate have remained pretty much unchanged for several decades now. In spite of recent reports suggesting that about 75 percent of all venture-backed businesses fail in earning profits, venture capitalists are still quite picky whilst choosing a company to invest in. This mostly has to do with the aims that venture capital investors have when picking a company for investment. VC firms usually invest tens of thousands of dollars in companies with very-low to no liquidity at an expectation that the long-term gain will at least be 5x or 10x the investment. Moreover, as the information saved at the blockchain can readily be verified, investing firms may also implement automated milestone-based funding mechanisms where additional funds are released to the business automatically if specific milestone set by the investors is reached. Moreover, instead of pooling in a massive amount of money to a company, the availability of company data will make it much easier for investors to scale the investment as the company grows. By making use of blockchain-backed platforms, investment companies can buy ICO tokens from within the platform and make investments using these tokens. As blockchain has the capability to store and keep current in addition to historical data from all possible elements of a business, investment companies can easily analyze the capacity of the company ensuring long-term and higher investments. Liquidity is one of the principal concerns for VC investment firms while choosing a business to invest in. The majority of the startup and small-scale businesses have very-low to no liquidity choices as their stocks don’t worth much. Most businesses either fail in meeting the expectations of such investors or are completely inaccessible as a result of fierce competition. Many nations have several regulations regarding venture capital investments that tremendously limits venture capital investment companies from investing in startups overseas. Even though VC firms in developed nations are extremely much interested in making business investments in emerging nations, they are limited by these regulations. Tokenization of investments generates better liquidity options, particularly for startups and other companies with a little share worth thus offering better protection for the investors. One prime example of such platforms is URIS, which is run by a nonprofit firm formed by entrepreneurs and venture capitalists. The URIS system makes it easier for investors to find profitable businesses and startups and readily invest in them using the URIS ICO tokens. The URIS ICO tokens also make it easier for investors to diversify their investments and also gain maximum liquidity for it as well. Since blockchain-backed investments are available from anywhere on the planet, it will be much more comfortable for VC companies to find and approve funding for companies with huge potential located anywhere on earth.